As if we haven't had our fill of rebooted animated characters yet we have another one coming up and I'm guessing this one is a welcome sight for all the pizza lovers out there. If you don't recognize the turtles above you're probably around 12 years old right now and don't even know what a betamax tape is. 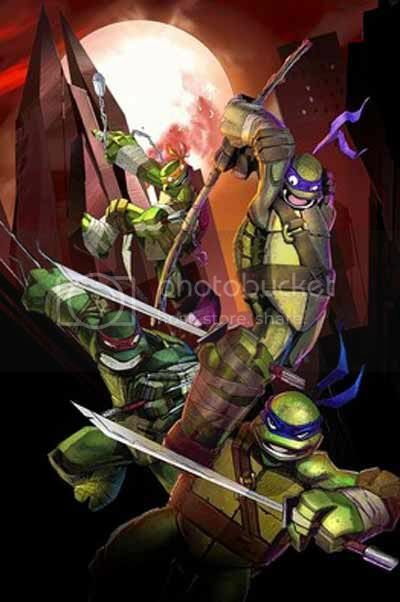 The Teenage Mutant Ninja Turtles are set to make a come back around 2012 and it looks like all the animation is in good hands if we base everything on the poster above and a very short sneak peak after the break. Now it's only a matter of time before we see all the toys flooding in.